Genesco Inc. reported earnings from continuing operations for the fourth quarter ended January 28, 2017, of $46.8 million, or $2.40 per diluted share, compared to earnings from continuing operations of $45.0 million, or $2.07 per diluted share, for the fourth quarter ended January 30, 2016. Fiscal 2017 fourth quarter results reflect a pretax gain of $9.2 million, or $0.25 per diluted share after tax, including a gain on the sale of SureGrip Footwear of $12.3 million and a gain of $0.8 million on other legal matters, partially offset by $3.9 million of asset impairment charges, pension settlement expenses and other items. Fiscal 2016 fourth quarter results reflect a pretax gain of $0.8 million, or a $0.04 loss per diluted share after tax, including a gain on the sale of Lids Team Sports of $4.7 million, partially offset by $3.9 million of asset impairment charges, asset write-downs and network intrusion expenses. Adjusted for the items described above in both periods, earnings from continuing operations were $41.8 million, or $2.15 per diluted share, for the fourth quarter of Fiscal 2017, compared to earnings from continuing operations of $45.8 million, or $2.11 per diluted share, for the fourth quarter of Fiscal 2016. For consistency with Fiscal 2017’s previously announced earnings expectations and with previously reported adjusted results for the prior year period, the company believes that the disclosure of the results from continuing operations adjusted for these items will be useful to investors. Net sales for the fourth quarter of Fiscal 2017 decreased 5 percent to $883 million from $932 million in the fourth quarter of Fiscal 2016, reflecting the sale of the Lids Team Sports business in the fourth quarter of last year and a decrease of approximately 2 percent in sales from the remaining businesses. Consolidated fourth quarter 2017 comparable sales, including same store sales and comparable e-commerce and catalog sales were flat with an 8 percent increase in the Lids Sports Group, a 6 percent decrease in the Journeys Group, a 2 percent increase in the Schuh Group, and a 1 percent decrease in the Johnston & Murphy Group. Comparable sales for the company reflected a 2 percent decrease in same store sales and a 12 percent increase in e-commerce sales. The company also reported net sales for the year ended January 28, 2017, of $2.9 billion, a decrease of 5 percent from net sales of $3.0 billion for the year ended January 30, 2016 reflecting the sale of the Lids Team Sports business in the fourth quarter of last year and a decrease of less than 1 percent in sales from the remaining businesses. Earnings from continuing operations for Fiscal 2017 were $97.9 million, or $4.85 per diluted share, compared to earnings from continuing operations of $95.4 million, or $4.15 per diluted share, for Fiscal 2016. Fiscal 2017 earnings reflect an after-tax gain of $0.52 per diluted share, including a $14.7 million gain on the sale of SureGrip Footwear and Lids Team Sports, an $8.9 million gain on network intrusion expenses as a result of a litigation settlement, and a $0.8 million gain on other legal matters, partially offset by $8.9 million in asset impairments and pension settlement expenses. Fiscal 2016 earnings reflect after-tax charges of $0.14 per diluted share, including $9.4 million in asset impairments, asset write-downs, network intrusion expenses, compensation expense associated with the Schuh deferred purchase price, and other legal matters, partially offset by a $4.7 million gain on the sale of Lids Team Sports. Adjusted for the listed items in both years, earnings from continuing operations were $87.2 million, or $4.33 per diluted share, for Fiscal 2017, compared to earnings from continuing operations of $98.6 million, or $4.29 per diluted share, for Fiscal 2016. For consistency with previously announced earnings expectations, which did not reflect the listed items, the company believes that disclosure of earnings from continuing operations adjusted for those items will be useful to investors. The company repurchased a total of 2.2 million shares of common stock in Fiscal 2017 at a total cost of $133 million and an average price of $61.81 per share. The company did not repurchase any shares in the fourth quarter of Fiscal 2017. Through the end of fiscal February 2018, the company had repurchased 138,900 shares at a total cost of $8 million and an average price of $59.49. Robert J. Dennis, chairman, president and chief executive officer of Genesco, said, “Fourth quarter EPS came in above last year’s levels and above expectations fueled in large part by better holiday selling than anticipated for most of our businesses. The strong gross margin and operating income recovery experienced at Lids and Schuh offset some impact of the significant fashion rotation at Journeys. January markdown and other assumptions proved to be conservative and we benefitted from a number of year-end items that contributed to the EPS beat as well. Year-over-year operating income was down, but EPS improved due to share buybacks and a lower tax rate. 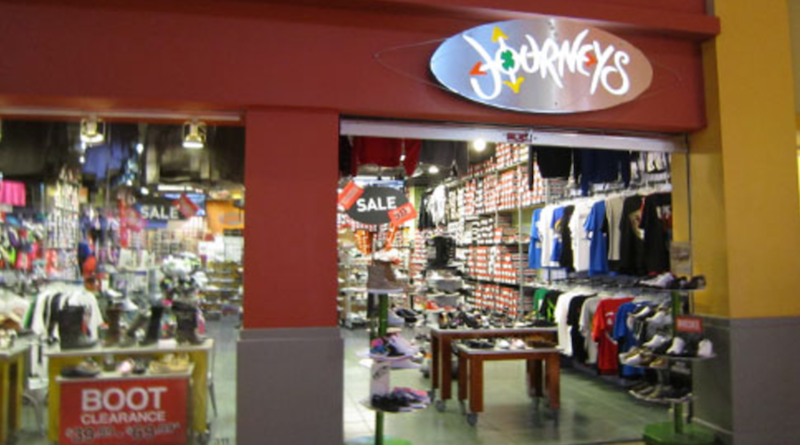 “While Journeys has made good progress adjusting its assortment to better reflect current consumer demand, until it anniversaries the negative comps from last summer, we will continue to face headwinds. In addition, Fiscal 2018 is off to a sluggish start, as expected, with the delayed income tax refunds clouding visibility into our sales trends early in the year. This plus some uncertainty with the direction of the overall retail economy causes us to be cautious about the current year. We expect adjusted diluted earnings per share for the year in the range of $4.40 to $4.55.” These expectations do not include expected non-cash asset impairments and other charges, estimated in the range of $5.8 million to $6.8 million pretax, or $0.22 to $0.26 per share after tax, for the full fiscal year. This guidance assumes comparable sales increases in the 2 percent to 3 percent range for the full year.